Explore the numerous day-trip ideas around Sydney: Blackheath (Gallery Blackheath & Hat Hill Gallery), Katoomba (Blue Mountains, The Three Sisters, & more) and Norman Lindsay Gallery & Museum (in Faulconbridge). 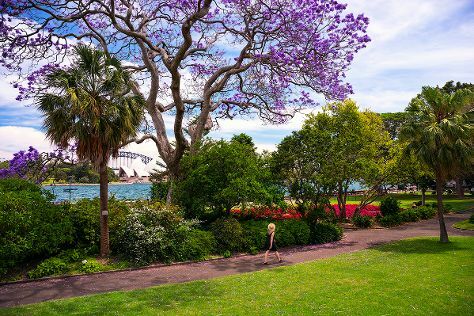 And it doesn't end there: take in nature's colorful creations at Royal Botanic Garden Sydney, stroll through The Opera House to the Botanic Gardens Walk, admire nature's wide array of creatures at Sea Life Sydney Aquarium, and wander the streets of Darling Harbour. Quickly create a custom-made itinerary for Sydney using our trip planner. If you are flying in from India, the closest major airport is Sydney Kingsford Smith International Airport. In September in Sydney, expect temperatures between 25°C during the day and 14°C at night. Finish your sightseeing early on the 16th (Mon) to allow enough time to travel back home.